As an official Cities and Regions Talanoa Dialogue event, the 9th edition of Resilient Cities attempted to answer the three main questions of where we are, where we want to go, and how we get there in achieving a resilient and sustainable urban future. Participants discussed the incremental and transformative changes required to advance on the resilient development pathway. The sessions addressed emerging links between urban resilience and resource efficiency/circular economy pathways and explored the growing challenges of Big Data and digitalization for cities and regions. Participants also shared best practices for ensuring resilient food systems, enhancing social cohesion, and citizen participation in resilience building efforts. Updates and pictures from day 3. 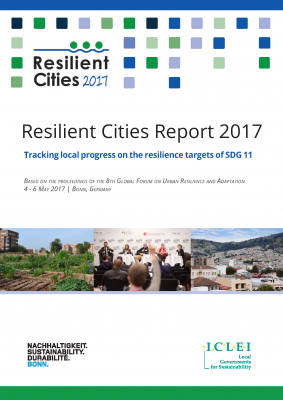 The 8th Global Forum on Urban Resilience and Adaptation featured more than 440 participants, 40 sessions and a number of side events, making the Congress an outstanding platform for learning, sharing ideas, and creating solutions. We were pleased to welcome participants from over 55 countries to Bonn. Approximately 150 speakers, 34 sessions and a number of side events made the 7th Global Forum on Urban Resilience and Adaptation an outstanding platform for learning, sharing ideas, and creating solutions. We were pleased to welcome participants from 45 countries to Bonn, twenty percent from local governments. View the pictures taken at the congress here: 6 July, 7 July and 8 July. Read more at the Congress Blog and watch our video interviews. To view the Congress Summary PowerPoint from Robert Kehew, Leader, Climate Change Planning Unit, UN-HABITAT, click here. 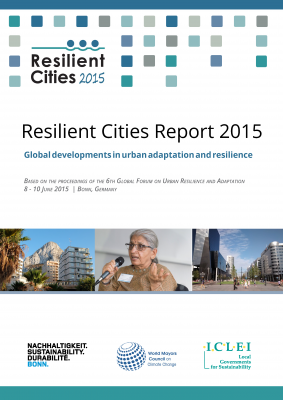 More than 420 participants, including approximately 170 speakers, convened in order to discuss urban resilience and adaptation in 39 sessions and a number of side events. We were pleased to welcome participants from 56 countries to Bonn, twenty-five percent from local governments. View the pictures taken at the congress here: 8 June, 9 June, 10 June. 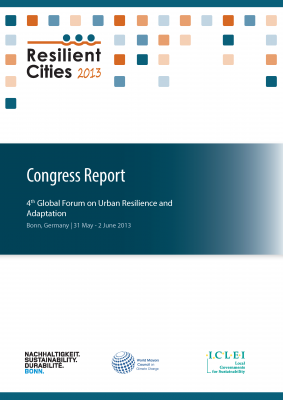 For the fifth time “Resilient Cities 2014 – Annual Global Forum on Urban Resilience and Adaptation” took place from 29 to 31 May 2014 in Bonn, Germany. 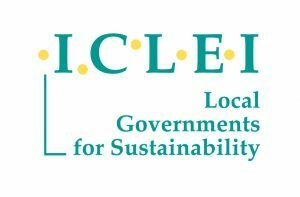 The program of 2014 focused on a variety of key topics including risk data, adaptation planning, financing the resilient city, city-region food systems, and resilient infrastructure. With networking and side events, the congress offered the perfect opportunity to connect with resilience practitioners and researchers, to build new partnerships and exchange ideas and best practices. 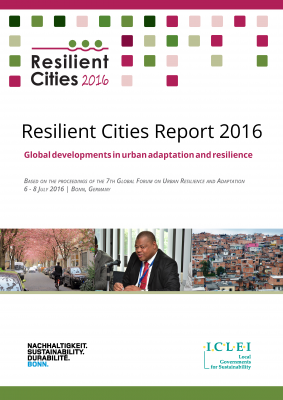 Additionally, Resilient Cities 2014 hosted the 4th Mayors Adaptation Forum, which enabled close dialogue between local and global leaders. The 2014 forum focused on urban adaptation and biodiversity, climate governance, Sustainable Development Goals and the Post-2015 UN Development Agenda. Finally, the congress was accompanied by various pre- and side-events, including the Open European Day, that took place on 28 May 2014. This special event focused on three core adaptation themes: Vulnerability and Risk Assessments, the Economics of Adaptation, Multilevel-governance Cooperation and Approaches. A special one-day forum on Resilient Urban Food Systems, composed of two plenaries, four sessions, and a coffee break event. The second Resilient Building and Construction Forum held in collaboration with the US Green Building Council on behalf of the World Green Building Council and Forest Stewardship Council. The third Mayors Adaptation Forum, hosted at the congress, was attended by several cities representatives who added their names to the Durban Adaptation Charter for Local Governments. The assembled municipal leaders concluded the forum with the 2013 Bonn Declaration of Mayors. 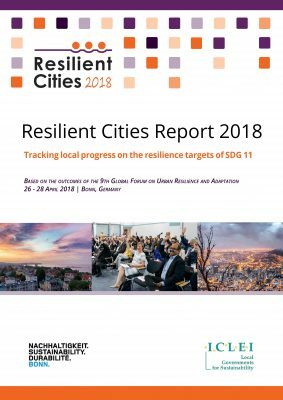 For the first time, in addition to a number of sessions, this Resilient Cities Congress presented two thematic forums on Resilient Urban Logistics (hosted by Deutsche Post DHL) and Urban Risk (hosted by UNISDR). 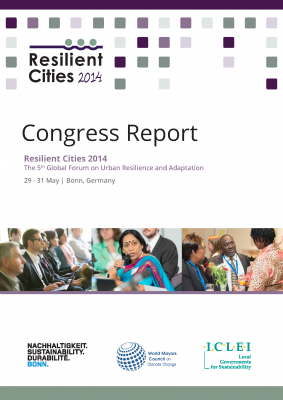 Read the congress report to learn more about the forums and congress sessions. 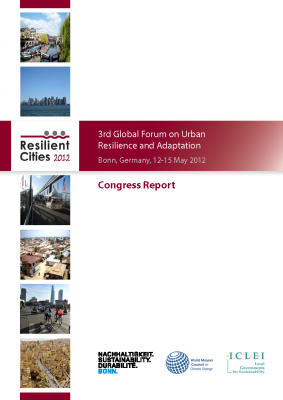 Financing was the key topic of Resilient Cities 2011 congress which kicked off with a launch of a white paper on “Financing the Resilient City“. The report identifies shortfalls in the global funding structures for adaptation, and sets out innovative ways to overcome them. Download here the 4 page summary. For the second time congress hosted World Mayors Adaptation Forum. 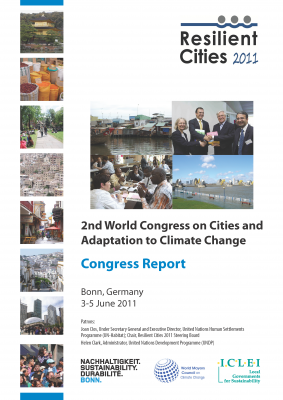 After two days of high-level meetings, 35 cities from all continents approved the 2011 Bonn Declaration of Mayors. Watch video interviews conducted by Climate Change TV. Hear what thought leaders said in Time for Real Questions, a series of dialogues with Konrad Otto-Zimmermann.